It looks like last night’s Hart of Dixie finale marked the end of the series. Though there’s still a chance the CW could pick it up for another season, no one associated with the show seems to think that’s likely. I loved Hart of Dixie. Even when it frustrated me, the hour of every week that I spent in Bluebell, Alabama, was a joy. The show always opted for small-scale human conflict over the life-and-death stakes that rule so much television these days. It was mostly about people who liked each other, and who enjoyed each other’s company, and the town they called home. Conflicts could always be resolved, often within the span of an episode, and while the show wasn’t overly concerned with “realism,” the characters all felt fully developed. They had histories and wants and specific points of view, and just about any combination of characters could produce interesting results. With the departure of Parks and Recreation, there has been a lot of talk about Pawnee, Indiana, and the way that show built out a city, with recurring citizens and local lore, until it felt as real as any location you could point to on a map, and Bluebell was much the same. Zoe Hart may have been Hart of Dixie’s main character, but the finale was titled “Bluebell” for a reason. We’ve come to love the oddballs that filled out the town around Zoe: Lavon Hayes, Zoe’s best friend and Bluebell’s Mayor, and the other two corners of her primary love triangle: local lawyer George Tucker and local troublemaker Wade Kinsella; her cantankerous medical partner Brick Breeland and his daughter Lemon, Zoe’s primary antagonists over the course of the series, and also, eventually, her friends; then there’s Rose, Wanda and Tom, Dash, the Pritchetts, Crazy Earl, Annabeth and Cricket and their fellow Belles, Tansy, Lily Anne Lonergan, Meatball, and so many more than I can list. Bluebell had an affection for town events, a long-standing rivalry with neighboring Fillmore, an illogical economy and a tendency toward outright goofiness. The people there struggled to accept outsiders, and that provided the primary conflict for Zoe in the show’s first season, but they came to consider her one of them. A runner in the finale introduced three new characters, superficial stand-ins for Zoe, Wade and George, embarking on their own Bluebell love triangle. Zoe’s stand-in, a lawyer just arrived from New York City, as perplexed and scared and rude about it as Zoe was in Hart of Dixie’s pilot, mistook her for a native Alabamian, and try as Zoe did to deny it, there was more of Bluebell in Zoe as the show came to an end than there was New York. The Zoe we met in the pilot, who looked down on Bluebell with disdain, would have been horrified to see herself, four years later, with half the town present as she delivered her baby. Shocked to see herself marrying Wade on a hospital stretcher, or as one of Lemon’s bridesmaids, or even just happy to consider Bluebell home. But her evolution was a natural one; Zoe was won over by Bluebell just as Bluebell was won over by Zoe. 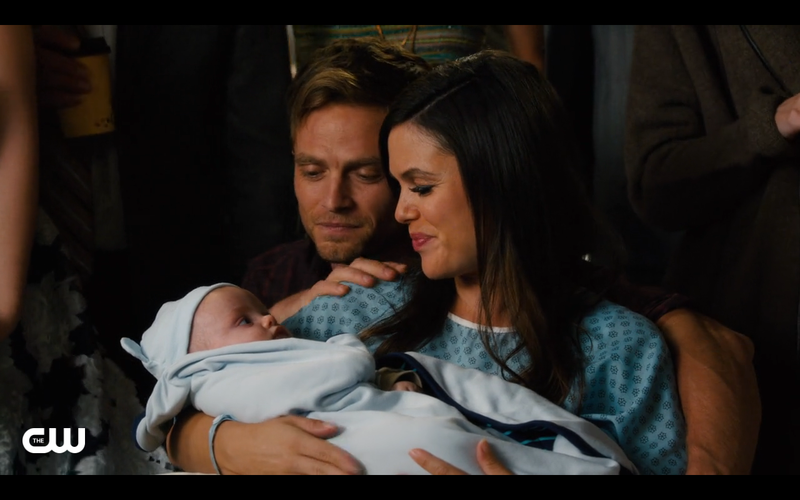 Few shows could pull off an ending like the one that closed out last night’s finale, a town-wide, all-singing, all-dancing musical number, but it seemed a natural fit to me, maybe even the only way Hart of Dixie could have ended. It was hardly the first time Bluebell broke out in song, though it was the first time a song broke the fourth wall, with the characters bringing the audience into the action, making us a part of the farewell. I watched it crying hysterically and grinning wildly. I can’t think of any way I’d rather say goodbye to a show I loved so much.